I quite often ponder on this subject for various reasons. 1. It was ‘revealed’ to a national that is not my own. 2. I don’t understand the language. 3. The interpretation is not universally agreed so the message of the Quran isn’t entirely clear. 4. Majority of the human population (including Muslims ) manage to live their lives without understanding the message of the Quran. 5. From the little I believe is the message of the Quran, it seems to advocate, common sense, pursuit of intellect and justice. This is most prevalent in nations that do not have a Muslim majority. 6. It’s a tool used to justify a lot of conflict. I recently asked this question on a Muslim discussion group and was met with a lot of defensive responses. Being of Muslim heritage, the Quran is as holy as it gets. So to dare to question the relevance of it is seen as blasphemy and traitorous. I used to think that all Muslim and people in general are supposed to follow the guidance in the Quran. But growing up, I was taught very little about what was in the Quran. I remember buy my own Quran with English translation when I was 17. It cost about £15 which was quite a lot for me at the time as I had very little pocket money. I could never understand why Muslims has to pray 5 times a day, fast for 30 days in Ramadan, eat halal only food, no pork but Christians didn’t have any of these obligations. Christians were supposed to go church on Sundays but they had Christmas, where they gave each other presents, (we didn’t get presents for Eid) and Easter where they had Easter eggs. They could eat what they want, never have to starve themselves or live with the guilt of not fasting. I didn’t know anything about Jews so couldn’t really compare. It seemed really unfair as Christians and Jews were seen as believers but Muslims seem to have got the short straw. Baring all this in mind, I was never a very good when it come to performing these rituals. Fast forward to a few years ago, I started looking in to Islam a bit more, specifically what was contained in the Quran. The trigger for my interest in the message stemmed from a conversation a had with a friend who pointed out that the food of the people of the book are lawful. I accepted the Jewish side of the argument because their meat was Kosher certified but found the issue of christian meat difficult to get my head around. After a lot of digging, I came to the conclusion that when it came to food, it didn’t actually matter what I ate as long as it wasn’t pork, even with pork, it is probably because of health reasons we were advised to avoid it. After this topic, I didn’t really do any more research as normal daily life kept me distracted. It was on recently that I started taking an interest in Islam as I felt like I actually know very little about Islam which was supposed to be my faith. I thought that the best way to learn about it is to research and write about it. 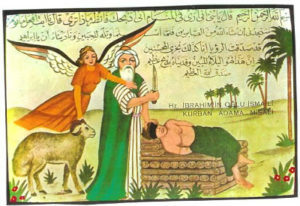 I was researching in to Prophet Ibrahim’s story and it just didn’t make sense. So I joined a few discussion groups and it was a bit of an eye opener when I came across a few Muslims who also had an issue with Ibrahim’s story. So I came to the conclusion that it’s not entirely clear what happened with Ibrahim and I was OK with that. I found these discussion groups coupled with YouTube videos on the subject very addictive. I focused on one topic at a time, praying, fasting, Hajj etc. For a while I was very focused on knowing the actual message of the Quran and that’s when I decided to create an app you could use to compare various versions of the Quran to try and understand the actual message. The Idea was to write about each topic and encourage others to improve upon it. After a lot of debating with some free thinkers and some traditionalists, it was obvious to me that the Islam I knew has nothing to do with God. They were cultural practices of the early Muslims that they continued to promote as Islam spread. So once I understood that, then came the fundamental question. If God didn’t want use to pray, fast and perform hajj etc, what did God want from us? So at first I looked to the Quran for some answers. I skipped over the stories of the prophets as I couldn’t really relate to them and focused on what god was actually instructing us to do. This included some further research, but I found I ended up doing a lot of reflection, looking internally for answers and it lead me towards psychology. So I started looking at things like nurture v nature because it didn’t make sense to me that you had to be taught how to be a Muslim, if something was a requirement from God, the guidance should be easily available. So I came to the conclusion that what God really wants is for us to be good human beings, looking after our family, community and the environment as well as standing up for justice and truth. These are things at the core of every national legislation. We have the ability to learn right from wrong and good from bad because of how it makes us feel and being empathetic towards other. God gave us absolutely everything we need to be a good person. We are social creatures for a reason, we learn almost, if not all of our skills by interacting with other. God gave us a brain to think and our senses and feelings to guide us. Denying these gifts I believe is what makes us deaf, dumb and blind. 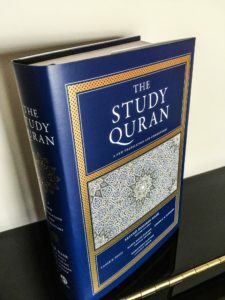 It is because of this journey that I asked the question ‘do we need the Quran?’ Not many people have been on this journey which is quite apparent form the responses I got from the question. There was a minority of people who understood the validity of the question but the vast majority were very defensive which is because they are not ready for this question. They are not yet really to apply critical thinking to their inherited beliefs and may never be ready. For some, that is OK, but for me, it was not enough.